The game contains three worlds, with two stages in each of them plus a final stage making 7 stages total. 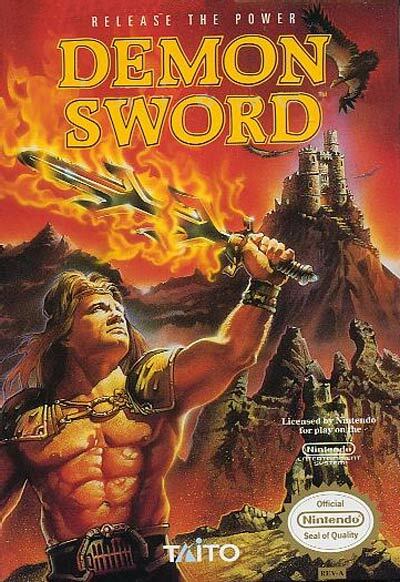 In order to regain the pieces of the shattered sword and advance in the game, the player must defeat a boss at the end of every stage. The player will also encounter enemies on the way to the boss, which must be defeated with a variety of weapons and magic spells, such as the character's Demon Sword (which he begins the game with), arrow darts, and power beams. The player can also jump over enemies and change direction in midair, as well as land in and run on top of trees. However, the player must be careful when jumping, as there are various traps, such as holes, that the player can land in.